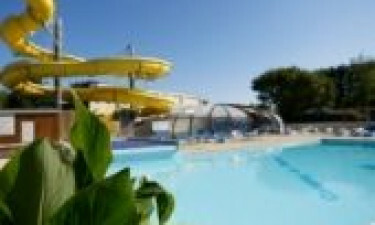 L'Atalantique Campsite offers luxury camping and access to the fabulous beaches of Brittany. Make sure you reach out to the friendly LuxCamp team to find out more! Why should I choose to camp at L'Atlantique Campsite? The swimming pools and water areas at L'Atlantique Campsite are one of the main reasons this location is so popular with families. We have a heated indoor pool and an outside complex that features two water slides, a children's wading pool, a jacuzzi and two pools- one large and one small. If you don't fancy getting your feet wet, you can still watch the fun whilst relaxing with a drink or two at the terraced bar which overlooks the water complex. A wide sandy beach is a stone's throw from the campsite and everyone will enjoy walking along the beach, surfing in the breakers or simply looking for pretty pebbles and shells. If you feel like a day out, there are plenty of local places of interest, such as Concarneau; an undeniably quaint old Breton fishing port and Quimper, an unspoiled town that is filled with half-timbered houses. Nature lovers are bound to enjoy a day trip to the Odet Estuary or perhaps a jaunt to the Glenan Islands- a popular tourist activity is to take a trip on a glass-bottomed boat to admire the marvellous marine life found in the crystal-clear waters surrounding the islands. L'Atlantique Campsite offers a wide range of luxury camping accommodation; choose from luxury mobile homes, bungalow tents and more. Everything is kept squeaky clean and maintained to a high standard, ensuring that you can really relax and unwind on your luxury camping holiday. The poolside bar sells snacks and drinks in the main season and there is also a takeaway, which sells a range of tasty hot treats, such as burgers, pizza and chips and is open from noon until ten o'clock at night. 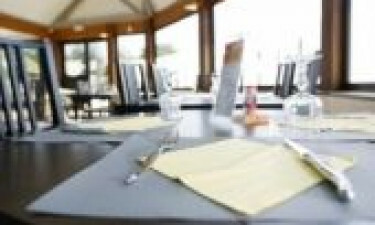 Brittany is known for its regional specialties and many of our visitors enjoy exploring the surrounding villages to try galettes in the local restaurants. Galettes are a type of pancake and are delicious, especially Quimper lace galettes, stuffed with fruit and trickled with chocolate or whipped cream. Other famous regional dishes are coquilles Saint-Jacques - scallops cooked in a white wine sauce - and a traditional Breton fish stew, known as cotriade. There are many local markets in the surrounding villages which are a great opportunity to buy souvenirs or excellent local produce, such as mussels and fish. There are two large supermarkets - Carrefour and LeClerc - within three miles of the campsite, and there is a handy small grocery shop actually on the campsite.